The Compact Forwarding Engine Board (CFEB) or Enhanced Compact Forwarding Engine Board (CFEB-E) performs route lookup, filtering, and switching on incoming data packets, then directs outbound packets to the appropriate FPC for transmission to the network. It can process 15 million packets per second (Mpps). 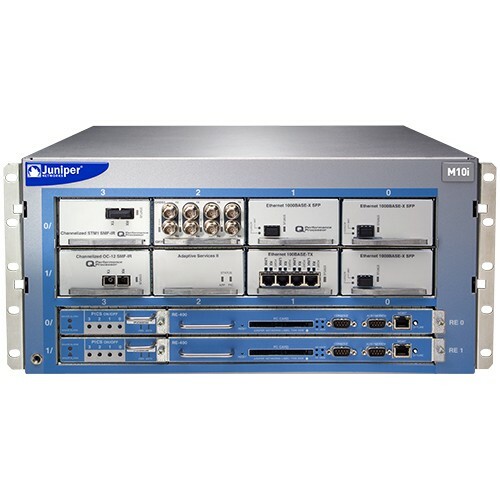 The Juniper Networks M7i Multiservice Edge Router is ideal enterprise routing solutions for head offices, campuses and corporate backbones needing reliable, secure and high-performance IP WAN connectivity, Internet access and services. Unlike legacy routers with monolithic architectures and aging operating systems.